Length 8.5 to 11mm. 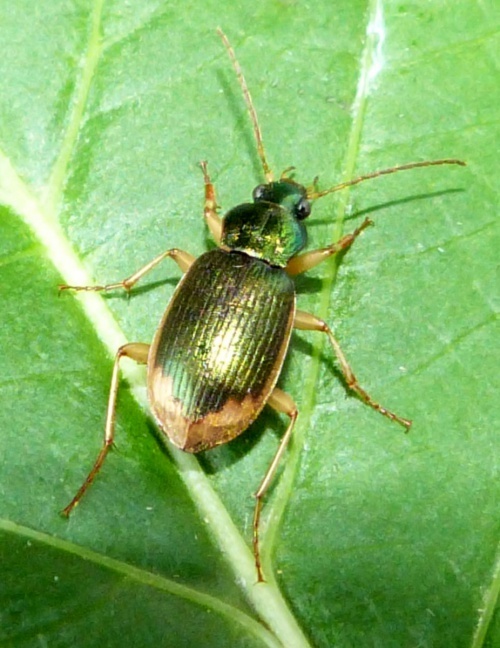 A metallic green beetle with orangey-yellow patches at the ends of the elytra. Usually found in marshes, reedbeds and on the edges of ponds and lakes. Peak time is May to September. Infrequent in Leicestershire and Rutland. 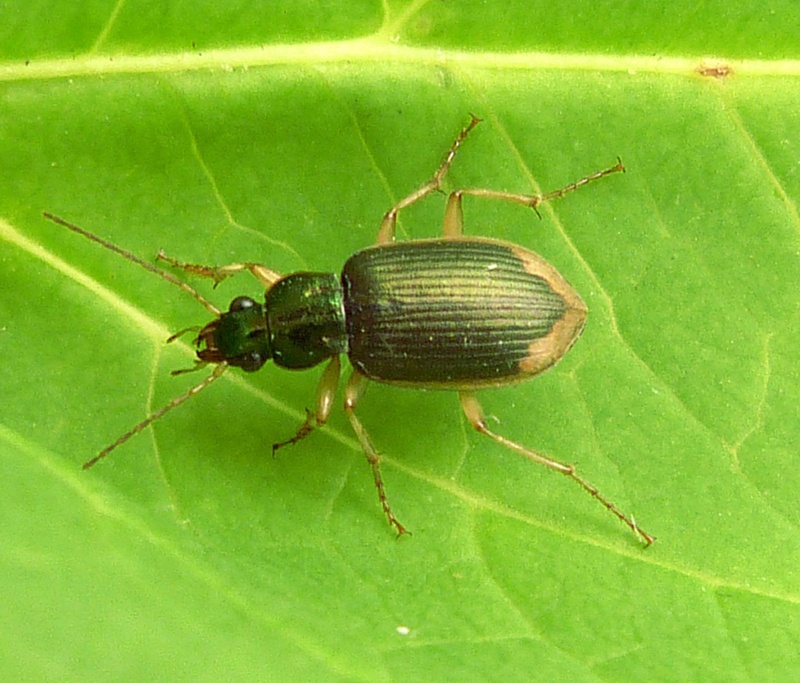 There were only 9 VC55 records for this species up to March 2015.